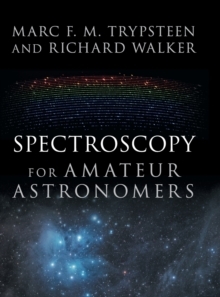 This accessible guide presents the astrophysical concepts behind astronomical spectroscopy, covering both the theory and the practical elements of recording, processing, analysing and interpreting your spectra. It covers astronomical objects, such as stars, planets, nebulae, novae, supernovae, and events such as eclipses and comet passages. Suitable for anyone with only a little background knowledge and access to amateur-level equipment, the guide's many illustrations, sketches and figures will help you understand and practise this scientifically important and growing field of amateur astronomy, up to the level of Pro-Am collaborations. Accessible to non-academics, it benefits many groups from novices and learners in astronomy clubs, to advanced students and teachers of astrophysics. 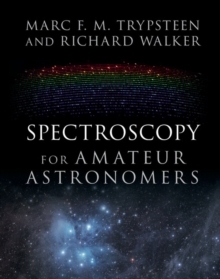 This volume is the perfect companion to the Spectral Atlas for Amateur Astronomers, which provides detailed commented spectral profiles of more than 100 astronomical objects.